With so much to plan for a wedding it is imperative to not overlook the entertainment. Booking a show is not only a great way to entertain guests & highlight the evening, it is also a brilliant way of giving the kitchen a chance to move from main course mode to desert mode, giving the evening a an even flow. Choosing the right wedding entertainer is something that deserves appropriate consideration. When the performer takes to the stage, you want to be confident in their ability & experience. Many people choose a magician as their after dinner entertainer, and why is a mentalist a better choice? Magicians seem to perform not only the same old tricks, but even the same old cheesy jokes as each other. Chances are, everyone attending will have seen the routines or heard the lines before. Mentalists are renowned for their quick wit, fresh, yet dazzling & amazing routines, and for leaving audiences in awe. What’s more is that even if your guests may have seen Phoenix perform one routine on TV, they wont have seen any of these other routines otherwise. Don’t be surprised if after the wedding, you have everyone asking where you found this entertainer, and how can they book him! Phoenix has specifically designed shows for Sydney weddings due to the large influx of enquiries received. Without fail, after every corporate event, or cruise ship performance, someone asked to book him for a wedding. Phoenix created a version of one of his shows that could play virtually anywhere. It was created with budget in mind, keeping the cost as low as possible for newly-weds. The show had to “WOW!” audiences like his other shows, but also had to work in just perfectly with the nature of a wedding. It had to include audience participation, as well as a few laughs. It was to not overshadow the evening, but instead to enhance & make the evening an even more memorable experience for everybody. The response has since been phenomenal, with repeat bookings due to word of mouth, wedding performances are being booked out far in advance. 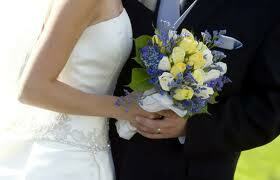 Book today to secure a performance for your special day & relax in knowing that you have booked a true professional. An incredible show specifically designed for wedding receptions, performed after the mains have been cleared & before the deserts come out. Perfect for after or prior to speeches. This incredible show was created by Phoenix after many requests from clients for him to perform at their reception & it has been a runaway success ever since. The show is comprised of audience participation, mind-blowing routines, sophisticated humour, and ends with the perfect routine for the bride & groom. All this along with leaving them both with a beautiful memento to treasure, along with the memories of the perfect performance, on their perfect evening, for many years to come. Show packages specifically created for Central Coast & Sydney Weddings. Whilst Phoenix does perform as a wedding entertainer in other cities, travel costs are incurred. See Phoenix in action LIVE on the Morning Show, Channel 7 studios, Sydney. Contact Us for further information on booking Phoenix for your big day!